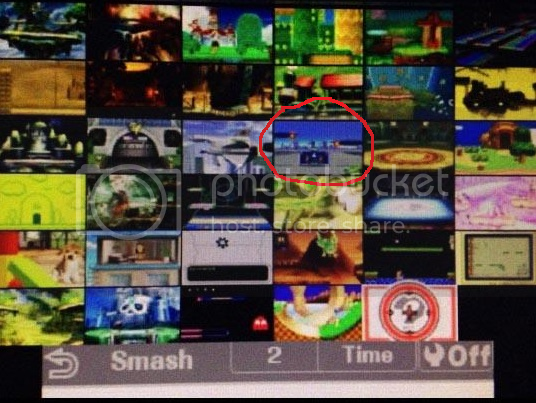 August 25th, 2014 | Images, MOTHER 1, Rumors, Smash Bros. In EarthBound Zero, this name was actually localized to “PsychoCar” to avoid the devil reference. So if this is legitimate, it’s interesting to see it being reverted. How the times change! 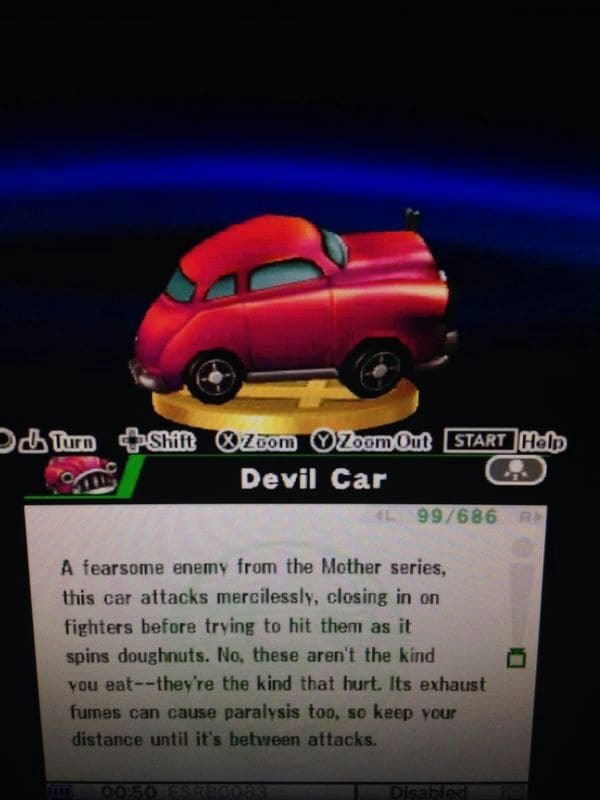 33 Comments to MOTHER 1’s Devil Car in the New Smash Bros. Games? This would be awesome! Finally there would be something from the Mother franchise. Maybe Ness still has a chance to be there. I guess they kept the name because smash bros is going to be a T rated game. I just hope Lucas makes it in. I believe this is true given the accuracy of the screenshots from the same leaker. It previously appeared under the name “Devil Car” in Brawl as a sticker. 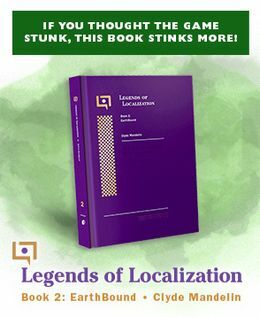 Guess they don’t treat Sandhop’s translation as official. It’s sad having no lucas in the starting roster, but with 686+ trophies in just the 3ds version, there will likely be plenty of mother trophies. I’d personally like to see Ninten and Eve get trophies. Also, magicant is a stage. That’s freegin awesome! Can someone please post the link of any images of the Magicant stage? No confirmation on the Magicant stage, it’s speculation based on an image with the stage select and one really bright pink(same color as magicant in M1) stage. Fingers crossed for Lucas: He was my main in Brawl. Some think the ‘Magicant’ stage might actually be a Rhythm Heaven Stage. I just know that most of these are just especulations, so I won’t take them into consideration until everything’s properly confirmed. Actually, the 3DS version is rated E10+. These are very-difficult-to-fake screenshots and impossible-to-fake gameplay videos (that Nintendo even took down). That's not speculation. Everything shown in those screenshots is true; what we don't know is what hasn't been shown yet. When I first saw this, it looks interesting. I still can’t say if it’s true or not, since I’d rather find out by playing the game myself than trusting leaks. Welp, leaks like these tend to kill my hype for the game. Which one’s true, which one’s fake, I can’t believe anymore. 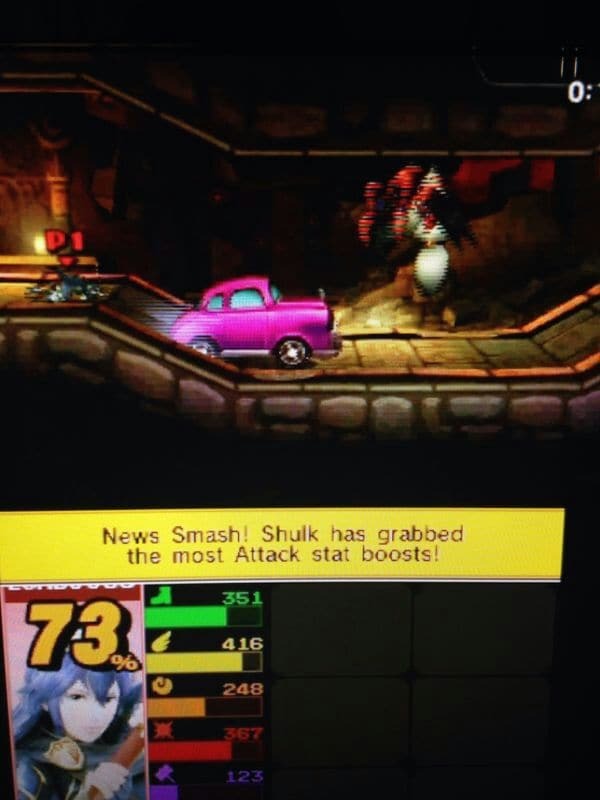 “new smash SHULK GRAB…SUHLK !!!!!! Ice Climbers are axed, Marth was in FE11 and 12, the two games before Awakening, Pit was in some 3DS game I never played, and the rest were mere assist trophies, if I recall. I do not trust those “leaks”. Also, I do know Mega Man and Masked Man are from different games… But they are not too different in shape, so I think an alternate costume for MM would be better than no Masked Man at all. I actually prefer the name Psycho Car. That being said I could never beat these things without the Easy Ring patch. MOTHER is a broken mess without Tomato’s glorious fixes applied. Can’t wait till the MOTHER Remake Hack is finished so it’ll be even more accessible! But, yeah, fake or not this is cool looking anyways! I like how, according to the car’s description, it’s exhaust fumes can paralyze. Just like in the original game! – Ice Climbers were in Melee, 16 years after their original game (1985). Marth’s most recent game at the time of Melee was Mystery of the Emblem (FE3) in 1994, even though there were two more FE games released between then and Melee. – Pit’s last game at the time of Brawl was in 1991 – and that wasn’t even released in Japan. That’s a 17 year gap. Those are gameplay videos that Nintendo themselves took down, and there is a LOT of evidence supporting their validity. What part of that do you not understand? Oh well… if I can’t make you realize you’re wrong, I guess you’ll just have to wait about three weeks for the game to be released in Japan. As for the costumes, my point is that giving a character from Series A a costume from Series B is just… stupid. And the two characters don’t even have similar attacks. I’m sure Ness will be in the game with no announcement. The white people of the translation foreigner I’m sorry. I’m Japanese. And will not be pardon. I be waiting. I bet the translators and localizers didn’t know about/hadn’t played EB0. That’s understandable, as I remember from an interview that Marcus wasn’t entirely comfortable with downloading ROMs, so they probably wouldn’t be either. What’s really going on in this world people?